Air Transat has unveiled its flight program for winter 2018–2019, offering travellers a choice of 34 Sun destinations in the Caribbean, Mexico, Central and South America, as well as Florida and a selection of European cities. Transat also announced the return of flights from Toronto and Montreal to Saint-Martin/St-Maarten and San Juan, Puerto Rico, both of which are embarkation ports for its all-in-one cruise packages. Air Transat has increased its direct flights and new travel opportunities via Toronto. Extra flights to Cancún, Mexico, will be added, departing from Vancouver, Edmonton, Calgary, Toronto, Hamilton, Montreal and Quebec City. Vancouver residents will enjoy daily connections to Puerto Vallarta, Mexico, and more flights to the Pacific resort destination will be available to holidayers in and around Edmonton. The Dominican Republic is also prominent in the program, with flights added out of Toronto, Montreal, Ottawa and Halifax to Punta Cana. With the beaches of Florida enjoying a resurgence in popularity, Transat is boosting its direct flights to Fort Lauderdale from Toronto, Montreal, Quebec City and Halifax, as well as to Tampa out of Toronto. From major Canadian cities, a total of 29 weekly flights will be offered to Florida. Note also that Transat offers several all-in-one cruise package itineraries sailing from Fort Lauderdale, Tampa and Miami. In recent years, Costa Rica has emerged as an increasingly popular tourism destination. Air Transat has responded by adding more direct flights from Toronto to San José and Liberia. The carrier also announced that it is boosting its number of direct flights from Montreal to Cartageña, Colombia, and Fort-de-France, Martinique. For a growing number of Canadians, a winter escape is now synonymous with Portugal (pictured) or Spain. 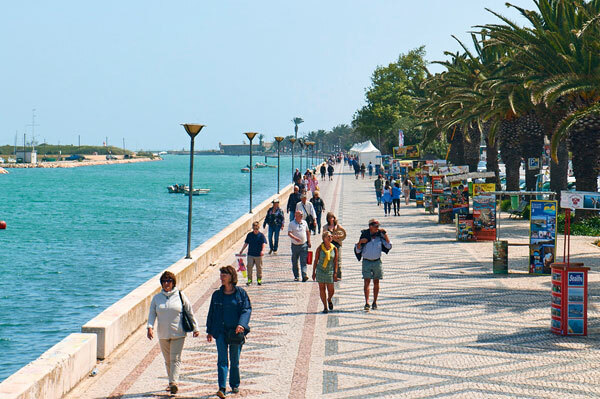 Accordingly, Air Transat is increasing capacity on its Lisbon and Porto routes out of both Toronto and Montreal, as well as to Málaga, Spain out of Montreal — and, thanks to Faro connection, also puts the Algarve region of Portugal within easy reach. Air Transat also remains dedicated to offering Canadians year-round travel to Europe, with its popular daily direct flights from Montreal to Paris, France, and from Toronto to London in the UK, as well as frequent flights to Manchester and Glasgow. Air Transat is also enriching its program of domestic flights, connecting many of Canada’s largest cities and opening up a wider choice of Sun and transatlantic destinations to travellers in those markets.